Are You Active in Your District? 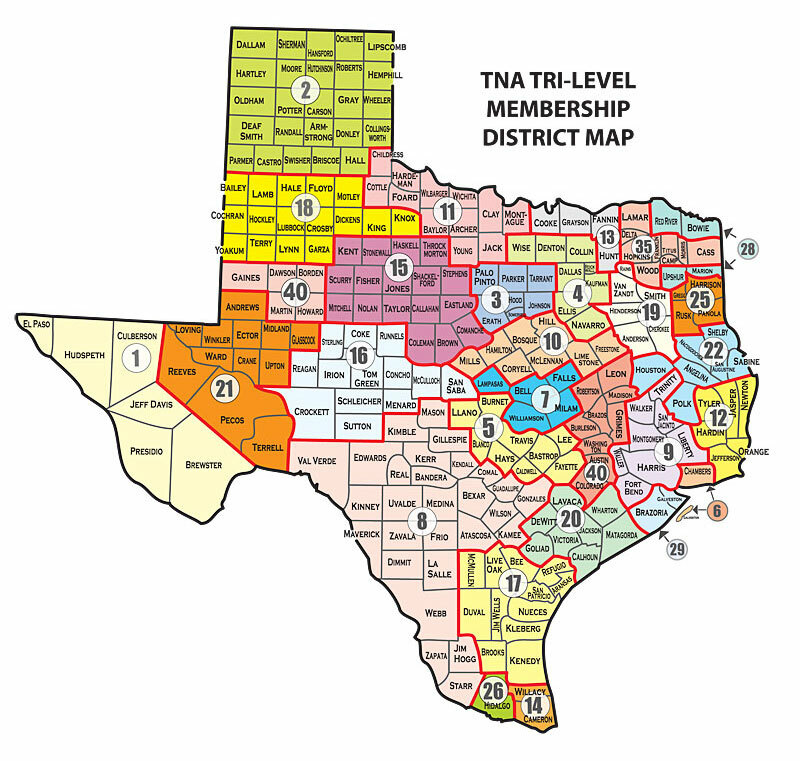 Many of TNA's activities occur at the local — or district — level. Check below to find your district contact information. If you're not sure exactly which district you fall into, see the full district map! Make sure we have your district's most current information! Contact TNA for updates.